The term "Born Globals" refers to companies, which pursue an international strategy at a very early stage - usually from the very beginning. "The award goes to companies that have made a particular contribution to our economy through their success in internationalization. 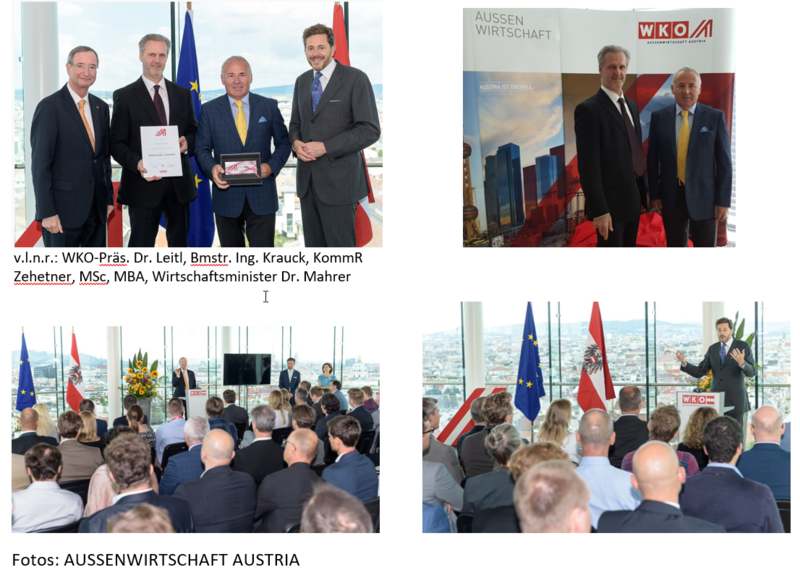 These are companies who are active worldwide from the outset, offering innovative products and services and showing rapid international growth," emphasized the president of the chamber of commerce (WKO), Christoph Leitl, in the joint honoring ceremony with minister of the economy Harald Mahrer. The "Born Global Champions" awards have been awarded since 2015. Especially, the potential contribution to the reduction of construction time and the prevention of construction cost overruns made by the use of KRAUCK-SYSTEMS services was appreciated. For customers, KRAUCK-SYSTEMS provides the opportunity for greater transparency, a great savings potential by an early detection of planning errors and their elimination in the planning phase and thereby, substantial construction cost savings can be achieved.